Israel is known as Silicon Valley East, with most of the world’s high-tech giants – from Google to Apple to Microsoft to Intel to the ones nobody can even talk about – having immense set-ups in and around Tel Aviv. Many people don’t even know that much of our cell-phone and security technology, as well as apps like WAZE were invented in Israel. And THE LINK is a high-tech hotel designed for the high-tech traveler whether on business or vacation. 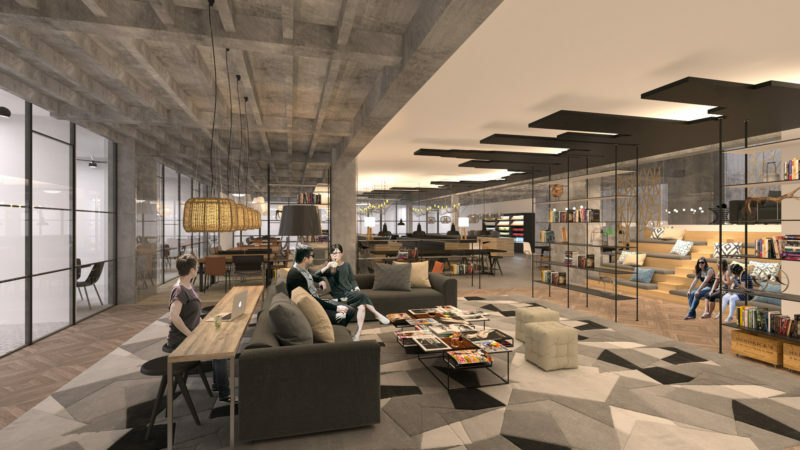 Set in the heart of Tel Aviv, near the Azrieli Center, Sarona and the towers where many high-tech companies have their offices, THE LINK’s informal core is The Hub, a 7,000-square-foot co-working space for guests. Here are the bar, restaurant and mini-market. Guest rooms and suites are spacious and crammed with cutting-edge technology. Guests download THE LINK’s innovative and comprehensive LinkApp and use it throughout their stay as a room key, to check in/out, to control guest room mood lighting and temperature, to operate the television, as the house phone for making free calls anywhere in Israel and to connect with other guests via group chats. THE LINK has eliminated many procedures typical of traditional hotels: no cash transactions, no reception desk, no bellboys and no concierge. Instead, THE LINK’s aimable and able 21st-century multi-tasking 24/7 ‘Service Crew’ operates on an “everyone-does-everything” basis. The trendy property has collaborated with twelve of Tel Aviv’s top street artists to incorporate the energetic street art of the city into the hotel’s design, with much of it for sale to guests.